I was looking for a laptop that was light in weight, light on features, light on battery and light on my wallet. It was a tough ask. On one hand there were ultrabooks that were very expensive and had configuration for which I had no need. On the other hand there were netbooks that had exactly what I needed but were badly designed and were a pain to type on. Asus X201E sits between the two ends. It weighs 1.2 kg so it is convenient to carry around. It has an excellent design. The outer cover is painted in black. The shell is made of plastic that has a textured feel to it. Which was a very thoughtful design choice as unlike most ultrabooks the cover is not susceptible to any finger marks, smudges or stains. The shell is just 2cm thick so it is very sleek almost as sleek as most ultrabooks. The inner body is silver in color. The keys are laid out wide across unit. They are spacious so unlike in other netbooks there are no accidental pressings. The keys themselves produce a good feeling when pressed upon. They make for a comfortable and easy typing experience. The track pad is large, smooth and supports gestures. On the upper right corner there is a single on/off switch that can be pressed to turn the unit on or off. On the bottom right corner there are 5 indicators. One for laptop status (on, off or sleeping), one for battery (on if charging), one for hard disk(the light blinks when it is being accessed), one for wifi and one for lock. 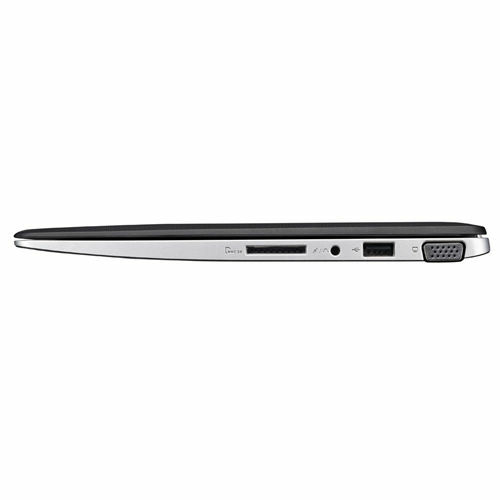 The laptop status and the battery indicators are also on the outer boundary of the unit perpendicular to the indicators on the surface so even if you close the laptop you can tell if it is on sleep or if it is being charged. On the back there is a single strip containing air vents that allows the hot air to get out. The heat never became a problem for me though and I did not notice either the laptop or the surface that it was on become too hot. The charger is small and compact and looks more like a mobile charger than a laptop charger. This makes it easy to stuff into a travel bag along with the rest of the things. Overall I was very pleased with the design of the unit. It looks sleek, modern and expensive (without actually being expensive :P). The choice of plastic makes it extremely light. The laptop is not very powerful but it is still adequate to perform day to day tasks without breaking a sweat. Check out the official specifications. Folks at notebook check have done an excellent job in bench marking this unit. Here I won't be repeating the tests. I will just recount my experience of working with the unit. The only tool I used was task manager that shipped with the OS by default. I installed xubuntu on my machine since it is very light. When idle the system used 3% of the cpu and 20% of the 2GB memory that came with it. Now most of my work involves programming. I use text adept, sublime text and mousepad as code editors. I use chrome web browser. I mostly program in erlang and node js. My choice of database varies from project to project but these days I am working with elasticsearch. With node js, elasticsearch, sublime text and chrome running in one workspace and git running on another the task manager reported 5% cpu usage and 35% memory usage. When browsing with 10 tabs open at a time I used 4 % cpu and 40 % memory. Watching videos bumped up the cpu usage to 40%. While these numbers are rough estimates of the actual performance they are significant. They demonstrate that the system is perfectly capable for programming, browsing and entertainment uses. The unit has 3 empty ram slots and running dmidecode -t 16 on terminal tells that the system supports up to 32 GB of ram. The battery is a bit hard to replace. It involves opening up the back of the unit, removing the screws by which the battery is attached to the board manually and then replacing it with new one. Yes it is a bit cumbersome. But at the moment I don't feel the need to upgrade my system. It performs well and only on rare occasions I have encountered swapping so there is no need to enhance the RAM either. What I would like to do however is to replace the hard disk (500 GB 5400 RPM) with a faster one or if possible with an ssd as it is quite slow. I have some minor problems with the unit too. First the battery takes a long time to charge. 4 hrs if it is completely empty. This is unacceptable. Second the audio in this laptop is a bit low and I have to use headphones to overcome this limitation. These are minor issues that I am sure could have been easily fixed. Traditionally I have always considered to buy only the top end computers. You know the one with the meatiest disk space, fastest processors and juiciest graphics cards . But I noticed that most of this raw power was wasted on my common requirements. My use of a computer is limited to programming, web browsing and some entertainment. I play games mostly on handhelds (vita, psp and GBA) though I play old classics on my PC which don't need that much of processing power. Therefore this time I decided to buy a system based on what I needed and not on what I might need. Asus X201E has worked out wonderfully for me in this regard. I can recommend this computer to anyone who is looking for a light and cheap system for every day tasks. 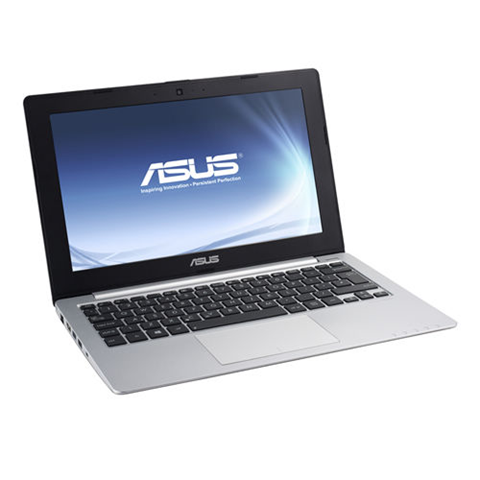 Compared to ultrabooks like macBook air which cost Rs. 60000 in my country this Rs. 20000 book is a steal.